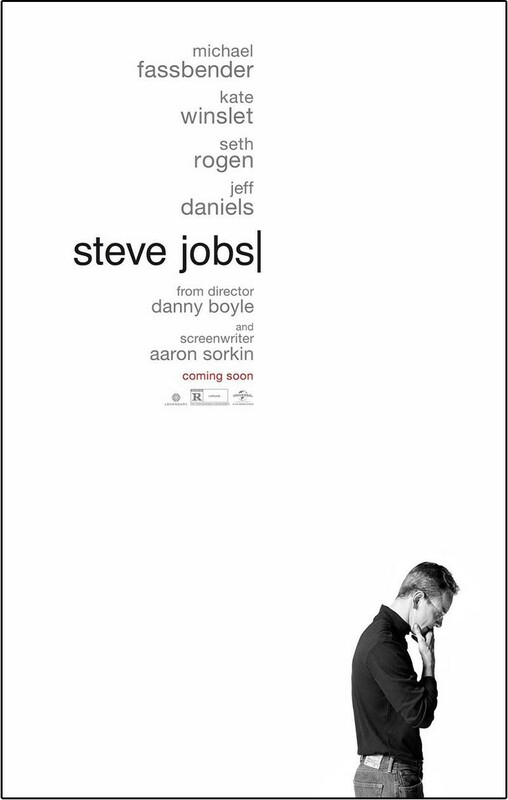 Steve Jobs was not a very popular movie. My son did not particularly like it. I loved it. This is probably due to my persistent romanticizing of any father figure who attempts, however awkward and clumsy, to connect with their daughter. Steve Jobs was not a good parent to his first child. I am left with the impression that he worked to rectify the relationship in his own way, and I loved it. Jobs certainly had issues. I am not sure I would have liked him, okay that’s a lie, I am completely drawn to people like him. He was portrayed both as brutally demanding and fiercely protective of his people. I relate to this. I am often passionate about my beliefs to the point I get a little excitable. It is a bit of a flaw of mine. I am admittedly a little jealous of those people who manage to stay cool and collected all the time. How do they do that??? Secretly, I bet they have skeletons in the closet. Maybe even real ones. People should get worked up about stuff sometimes. It is what makes us human. Dispassionate people scare me. Seriously. However, they seem to be more productive than the erratic ones. That topic is too big for Daddy Issues. I was also interested by the way Sorkin and Boyle handled the relationship with John Scully. John Scully addressed his relationship with Jobs in 2013 at the Forbes Global CEO Conference. You can watch the video here. I was struck by the amount of regret he still carries in regards to the relationship with his former friend. More importantly, I was impressed by his dedication to being a mentor. There were several times the movie alluded to Scully and Jobs having a father- son relationship. So, essentially John Scully was Steve Job’s Work Daddy. I tend to think most of us need one. At least I do. My relationships with my former work parents remain strong. I still turn to them for professional advice and guidance. I still rely on their opinion and expertise to help me make good decisions about my future. I am sure they find this exhausting at times, especially since there have been so many potential jobs. I hope I adequately convey my appreciation. I really do understand it is an investment in their time and energy. So, as I continue on this interesting quest for adventure, professional fulfillment, and possibly even enlightenment, I must remember to keep an eye out for people who have something to teach. I continue to be amazed when I meet someone new who likes to impart information and experience. It is even better when they take the time to help me learn how to apply it to my personal and professional growth. People come into our lives, and if we pay attention we just might get lucky enough to benefit from their experiences. These relationships require a level of vulnerability that can be intimidating for some people. It is hard to allow someone to see your insecurities and faults. It takes humility to allow someone to judge your actions. You cannot allow someone offering you guidance to hurt your feelings. You have to leave your pride out of the equation. This is hard at times. I found myself wanting to defend my actions. Sometimes, it was not even the point I was necessarily wrong, it was just there was a better way to handle situations in the future. It is all about growth and progress. Growing pains hurt. I still miss my old job. I miss having people I knew and trusted available at a moment’s notice. I am having to learn to operate in foreign environments and I do not always have all the information I would have readily available. I know much more about the EMR there. I know my nurses there. I know all the other physicians. It does make a difference. However, I keep telling myself this is a great opportunity to learn. I am learning so many new things. I can’t wait to see what I learn next. So, while this job is in some ways infinitely more difficult, I get to become a better Nurse Practitioner. This is only going to improve the care I am able to provide. So, I will struggle on and deal with the stress. It will be worth it. I hope.